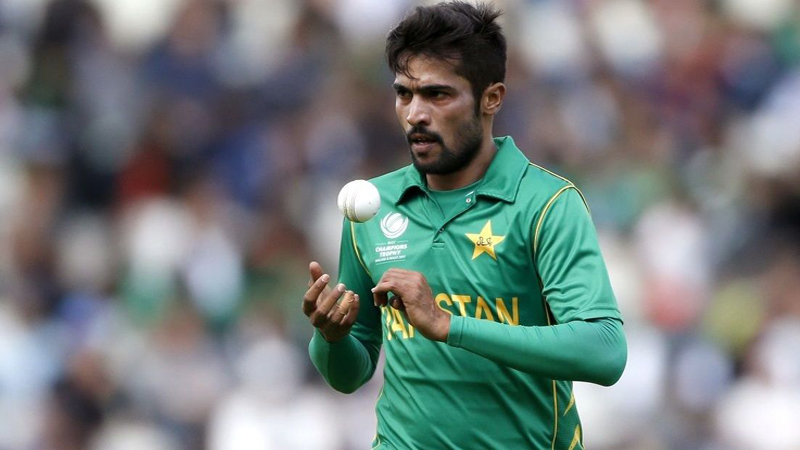 Pakistan cricket selectors, headed by former Test captain Inzamamul Haq, on Saturday recalled fast bowler Mohammad Amir to a 15-member national squad named for a three-match T20I series against South Africa. Amir’s inclusion in place of Waqas Maqsood is the only change to the dominant T20I side that whitewashed both Australia and New Zealand 3-0 late last year. Meanwhile, Asif Ali and Sahibzada Farhan have reprised their positions in the T20I squad, and will link up with the team in Africa after not being picked for the Tests and the ongoing ODI series. Both Pakistan and South Africa are currently in the middle of a five-match ODI series of which three have been played and the hosts lead 2-1. The players returning home following the 50-over matches are Imamul Haq, Mohammad Rizwan and Shan Masood. The hard-hitting Asif comes fresh from a successful stint in South Africa’s Mzansi Super League where he scored 150 runs at a strike-rate of over 180 for the Cape Town Blitz. In a 16-match T20I career, Asif has scored 237 runs at a strike-rate of just under 140. Farhan has scores of 0, 39 and one in his three T20I innings for Pakistan but boasts 452 runs in 22 career T20 matches at a strike-rate of under 110. “Once again, the selectors have gone ahead with the policy of maintaining consistency and retaining a winning combination,” said chief selector Inzamam. “While our focus is very much on this year’s ICC Cricket World Cup, we cannot forget that the ICC T20 World Cup is in Australia in the second half of 2020. So, we need to give as much exposure and experience to our up and coming players as possible, but without compromising on the assignments in hand.” The matches will be held on February 1, 3 and 6 in Cape Town, Johannesburg and at Centurion, respectively, with top-ranked Pakistan aiming to stretch their unbeaten run to beyond nine matches. In 2018, Pakistan won a world record 17 out of 19 T20Is. 6 February – 3rd T20I, Centurion. Published in Daily Times, January 27th 2019.